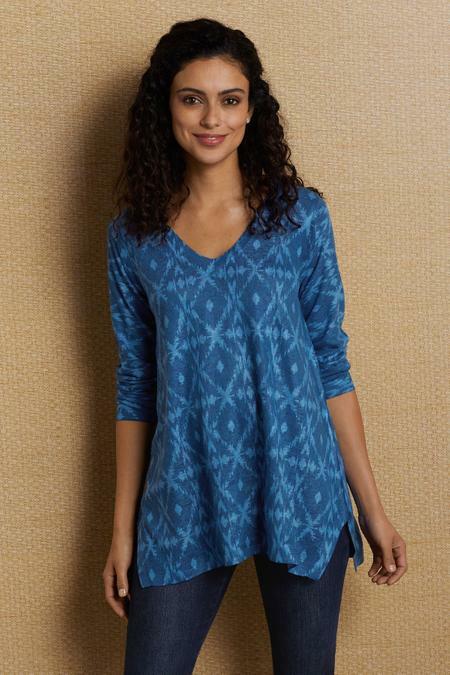 A shade of blue you'll want to dive into ... with ikat diamond motifs that seem to ripple like pebble-tossed water. This easy V-neck pullover crosses seasons fluidly in a light sweater knit, with long sleeves and a swingy trapezoid hem. Poly/rayon. Misses 28-1/2" long.